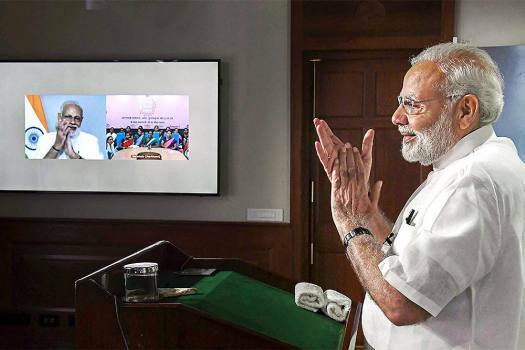 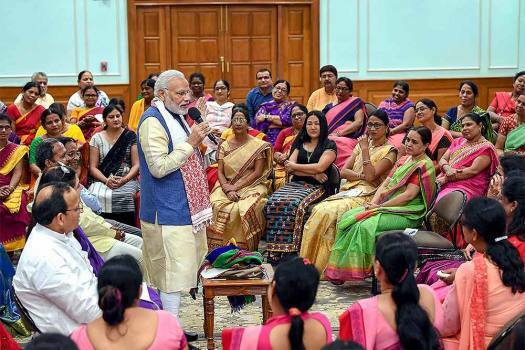 Prime Minister Narendra Modi interacts with Anganwadi workers from across the country, in New Delhi. 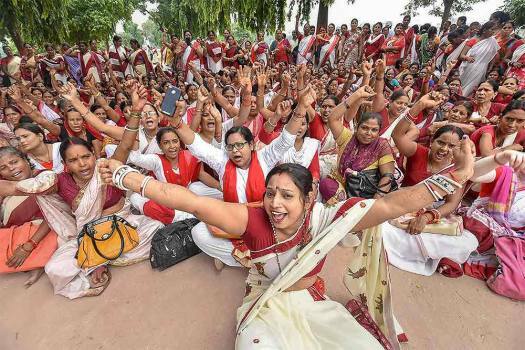 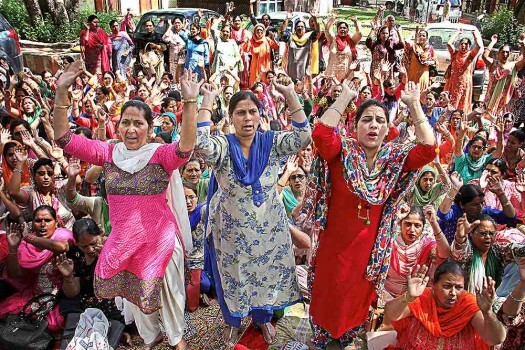 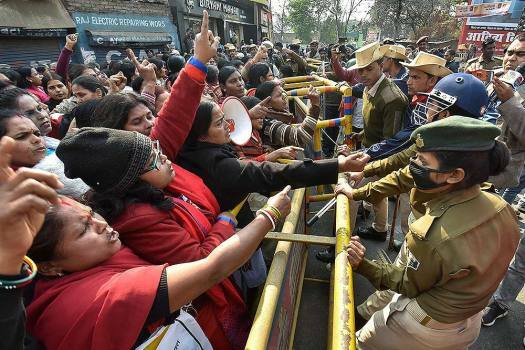 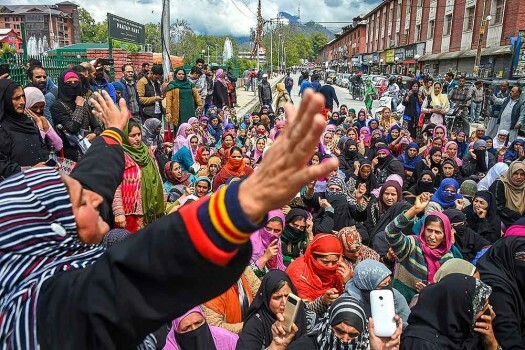 Anganwadi members raise slogans during a protest against the Bihar government for their various demands, in Patna. 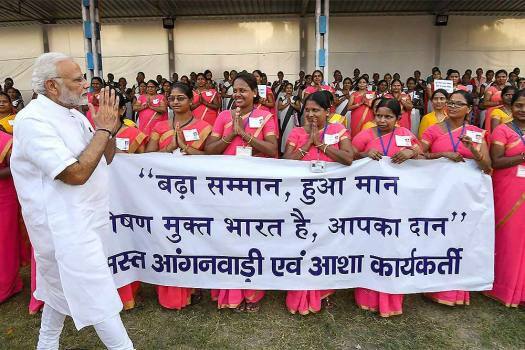 Prime Minister Narendra Modi being welcomed by the Anganwadi workers, in Varanasi, Uttar Pradesh. 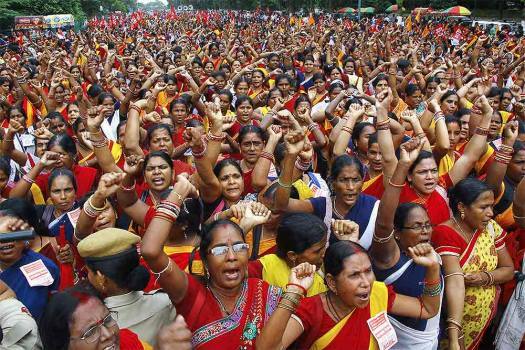 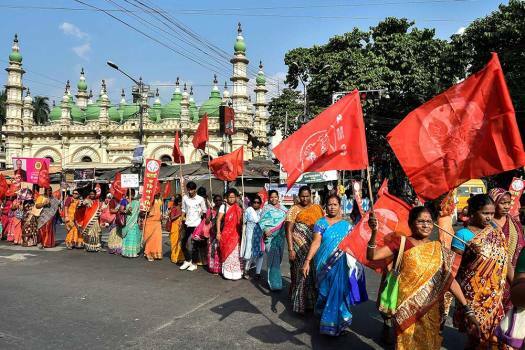 Anganwadi workers stage a protest to press for their demands, in Bhubaneswar.